Researchers from the San Francisco State University, have discovered that people who understand that life is more about creating memories rather than materialistic gains are more happy. Even though the pursuit and purchase of physical possessions can bring temporary fulfillment, most individuals will never fully be satisfy by that and it will certainly not bring true happiness according to science. Forget “stuff”, invest in experiences … and live the anticipation! Anticipation of an event is also an important driver of that happiness; whether the benefit of spending money on an experience accrues before the purchase has been made, in addition to after. Basically, they say it’s best to live in anticipation of an experience when you can’t live in a moment. 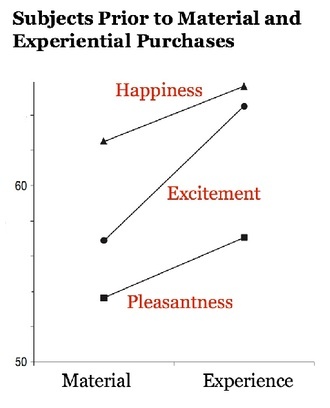 Experiential purchases (like concerts, strips, movies, etc) tend to outshine material purchases because the utility of buying anything really starts accruing before you buy it. In other words, waiting for an experience apparently elicits more happiness and excitement than waiting for a material good who is more likely fraught with impatience than happy anticipation. Focusing on your life experiences can not only bring you more life satisfaction and happiness but it’s also more bankable for your future than those expensive Louis Vuitton shoes. 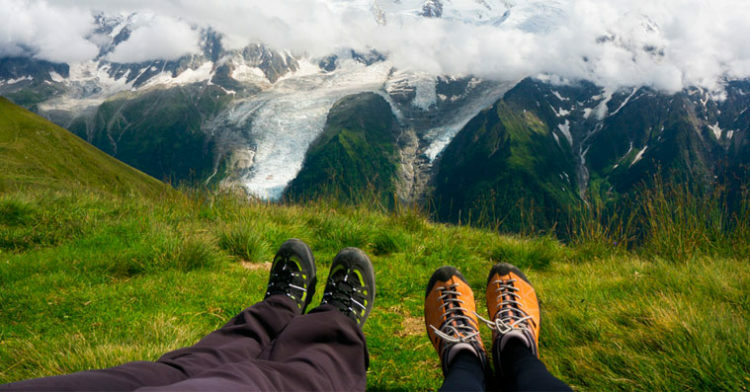 Business Insider found that CEOs around the globe look for their employees to achieve several familiar things in their 20s, and yes, you’ve guess it, traveling and it’s thinking broadening abilities is one of them. One good thing is to always remember that, when you 90 years old and on your deathbeds you’ll probably not cherish that new iPad or gold watch that much. You’ll be satisfy by the memories and moments you created with the people who made an impact on your lives. So go ahead, treat yourself once in a while with beautiful things, but don’t forget to make your bigger investments toward making your life unforgettable and worth living, whether you prefer to explore the world alone or sharing your experiences with your loved one. For more information watch the video bellow! Angie a.k.a TheGreenAngel is an artist by day and lightworker & jedi in training by night! She's passionate about yoga, meditation, nature, traveling. Her current interest involve arts, music, shamanism and energy healing.